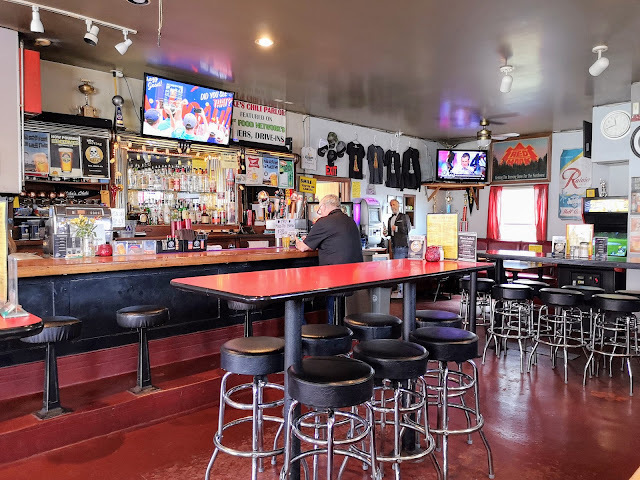 When I first saw Mike's Chili Parlor on Triple D maybe 10 years ago, I told myself that a pilgrimage was in order at some point. When I saw that G.F. had revisited Mike's and realized that I had not even been for the first time, I got serious. Mike's qualifies under the third D namely as a dive, but I mean that in the most affectionate way possible! You can have chili a couple of different ways namely with beans or without. You can have it in a bowl or on stuff. 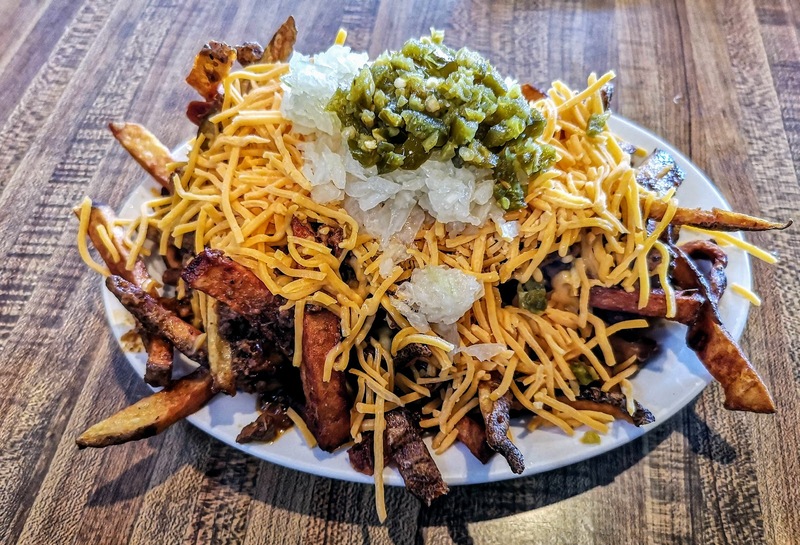 You can have it with stuff on top. So we had chili. First, we had it in a bowl without beans, with cheese, onions and jalapenos. It was delicious. A little bit greasy and a little spicy from the peppers but rich and beefy. Next we got a chili dog with cheese on top of the chili on top of the dog. I realize that you will have to take my word on the hot dog part. This time the chili had beans which suits me. The dog under there is just a regular hot dog. Finally there were Chili Fries. I believe that Mr Fieri has had an influence here. 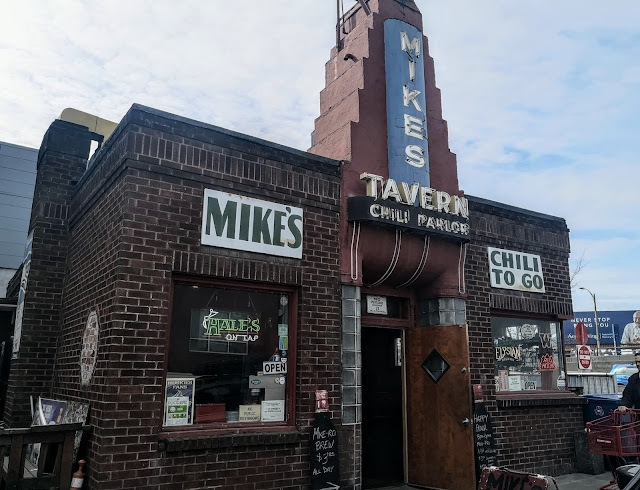 Allegedly Mike's began double frying (blanching) in response to his suggestion and admittedly the fries are really good. 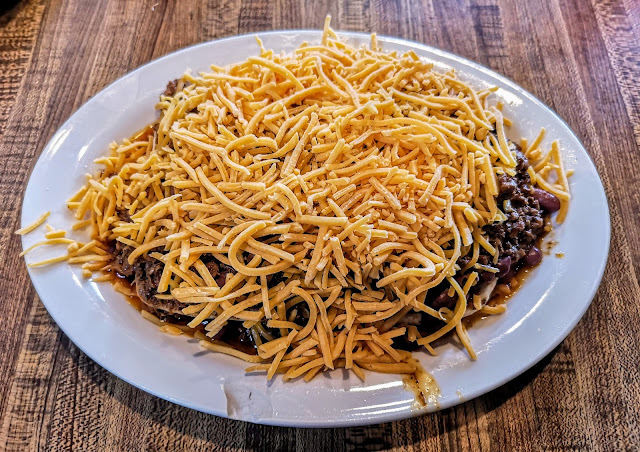 More chili, cheese, onions and jalapenos. We couldn't eat it all and ended up taking some home for later. Don't do what we did namely over dose on chili. It is quite rich and should be consumed in reasonable portions. 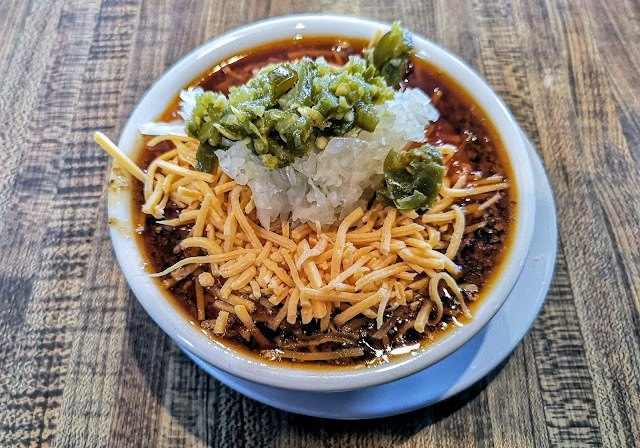 Watch the game, have a beer (if you like) and enjoy a bowl of chili. Mike's doesn't seem to have been affected by two visits from the Triple D group. I am sure that it looks the same as it did before Mr Fieri came to town. That makes me happy for those that might consider this their local. It wouldn't hurt to spend a little bit on the bathrooms though. Friendly service! Nice folks! For what its worth, based on the experience, we give Mike's 4 out of 5.